Something strange has been happening…I have been noticing that I am increasingly drawn to rooms with limited color palettes. 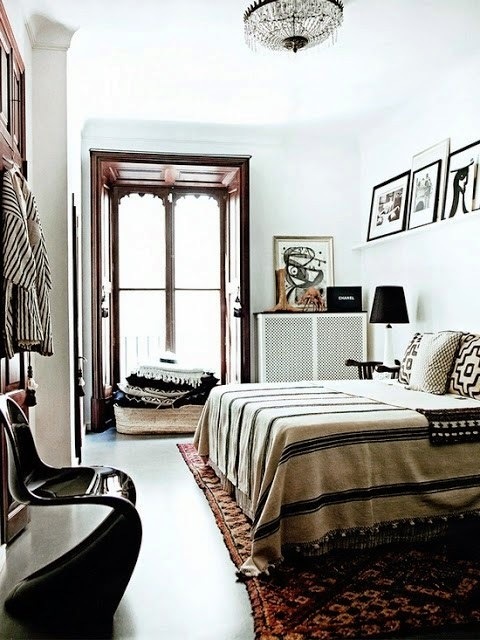 I still love rooms with white walls and tons of colorful furniture and accessories. 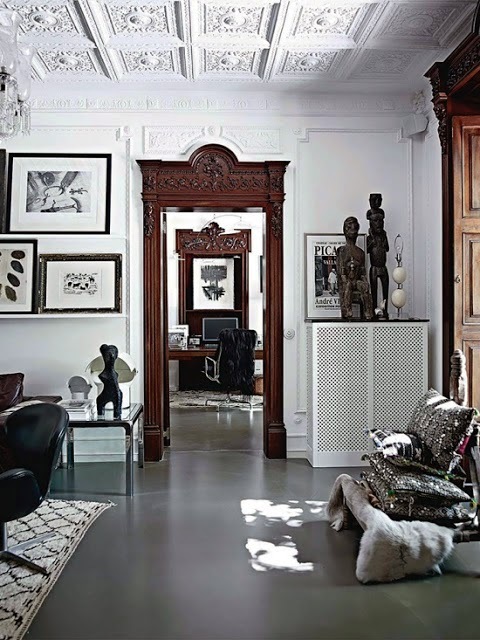 However, there is something about decorating with a limited color palette that creates a sense of harmony. 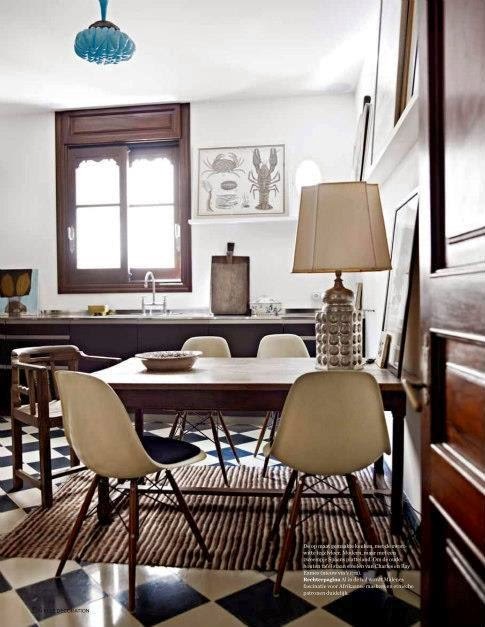 I love everything about this Palma, Mallorca home of Danish fashion designer, Malene Berger. 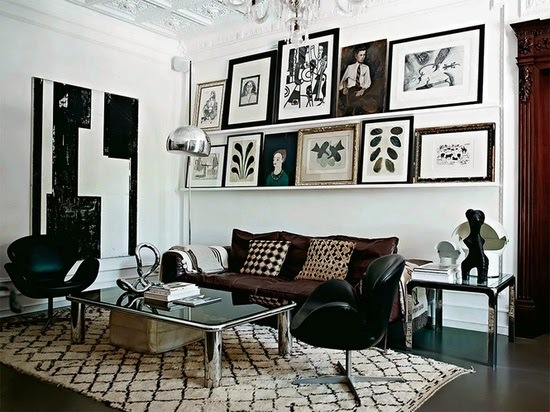 The white walls; black and white art and textiles; silver accents and the wood trim are just perfect. 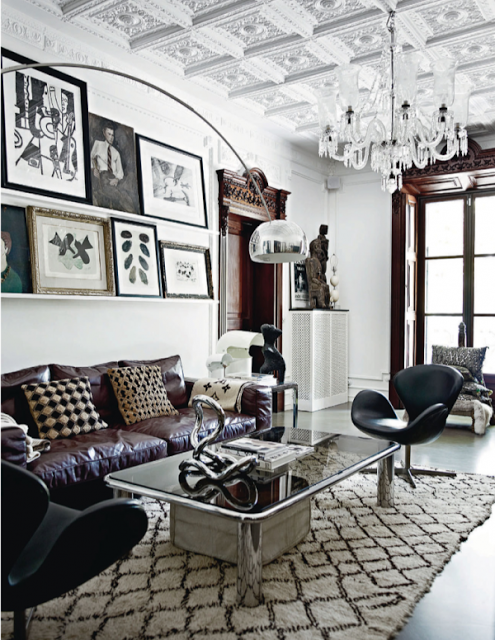 All images are from Elle Decoration UK. I have no intention of changing my whole house. I am however considering editing the amount of color in the living room. Every Spring I get the urge to change things around and this year is no exception despite the fact it feels nothing like Spring. As far as major renovation projects for our house, I would really like to start the kitchen renovation (highly unlikely); or add a roof deck (unlikely as we would replace the roof first so this will end up being a very expensive project); or dig out the cemented back yard and replace some of the really old cinder block boundary walls and figure out what I want to do with the back yard. I am also considering painting our room in a dark inky color and installing a wall of closets. While this project is do-able and relatively inexpensive for Scott and me to tackle it doesn’t look like we will have the time to work on it this Spring. Both of us have been really busy at work lately and we just don’t have the energy at the end of the day to even plan this project! So it is likely that, this Spring, I will be limited to only re-arranging the furniture and editing. « The Living Room is White!